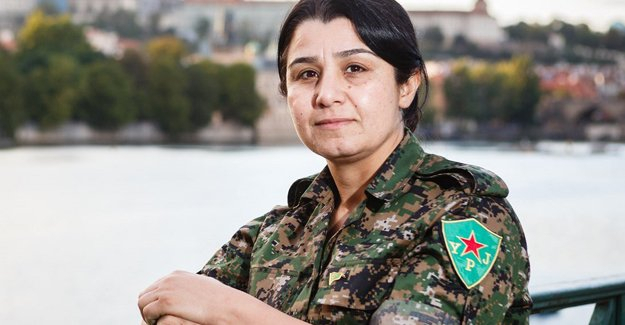 January 18, 2017 –– Links International Journal of Socialist Renewal reposted from ANF English –– YPJ (Women's Defense Units) Spokeswoman Nesrin Abdullah described Raqqa operation that was launched at the end of 2016 and led by the YPJ as the operation to avenge all women, and said “Raqqa’s liberation is also the liberation of mentalities. Because as the women of the YPJ, we aim not only liberation from ISIS but also a liberation of mentality and thoughts. Democratic culture and fraternal life must be deepened because war is not only the liberation of land. We are also fighting for the liberation of women and men. If not, the patriarchal system will prevail once again.